CHARLOTTE, NC — Police have charged a 19-year-old man and a 14-year-old juvenile with breaking into a vehicle in an east Charlotte neighborhood. The crimes reportedly happened around 8:28pm on February 5. 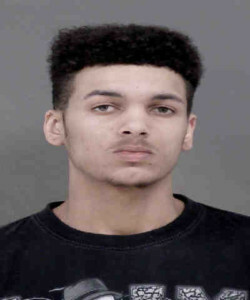 Police say Leon Williams and the juvenile were spotted breaking into a vehicle on Connecticut Avenue near Shamrock Drive. Officers reportedly spotted the suspects while in route to the location and took them into custody. They are each charged with Breaking and Entering a Motor Vehicle and Criminal Conspiracy. The juvenile’s name is not being released due to age.